The following items are retiring from Stampin' Up! and will be available on a "while supplies last" basis. If there is anything you want, I highly recommend that you order it thru my website as soon as possible. Many of these items will sell out quickly, and I know you won't want to miss out. To view the Last Chance items, go to my Stampin' Up! Website, then click on shop now. On the left side you will see "Last Chance". When you click on that it will take you to the list of available items for rubber stamps, accessories, and definitely decorative items. You can also view the Last Chance Items using THIS LINK. Here's the latest My Digital Studio Downloads that were released today. 7. has a standard card dimension list on it too. 9. ruler area is 10" x 16"
June 1st Stampin' Up! will announce the retirement list. Remember if an item is retiring, it is now on a first come, first serve basis. As soon as I have the list, I will post it on my blog. Please go to my website and order it on-line for the quickest process. Today's video is one I found on YouTube. I'm posting it today to honor our military past and present for all they have done to keep us free. We'll soon to saying goodbye to this catalog. Don't miss out on your chance to receive a FREE copy of the Stampin' Up! 2011 - 2012 Idea Book & Catalog which premieres July 1st. All you have to do to receive a FREE copy is place an order thru my website by the end of June 2011. Anyone who has placed at least one order thru me between July 1st, 2010 and June 30, 2011 will automatically receive the catalog at no charge. If you don't want to place an order right now but would like to receive the catalog, please e-mail me . The cost will be $9 which covers the cost of the catalog and priority mail shipping to you. I can only send catalogs and accept orders from people in the US. 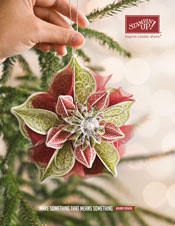 As demonstrators, we have to purchase the catalogs from Stampin' Up! and also pay for the shipping. I'm charging you what it costs me to purchase and ship to you. I will be ordering my cases of catalogs on June 1st and should be able to ship them by mid June to all my customers. You can start ordering from the new catalog as of July 1st. The new Stampin' Up! 2011 - 2012 Idea Book & Catalog is valid for one full year, and the Summer Mini Catalog is valid thru the end of August 2011. Just a reminder too that on June 1st Stampin' Up! will announce items that will be discontinued and retired. These items will be available while supplies last thru the end of June. I will have links posted on my blog as of June 1st so that you will be in the loop of what is on the list. Remember it is while supplies last, so if there is something you want you should order right away to be assured of being able to getting it. 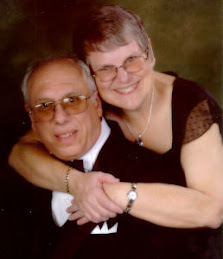 Another reminder too that I will not be doing blog posts on Sundays to spend the time with my wonderful husband. Hope you all have a wonderful weekend. I added a 3" square of DSP to the back of the punched out design, then added the stamped image to the top. Scallop Edge Border Punch, item #119882. Hope you enjoyed this week of samples using the Border Punches. More on the border punches. Wanted to keep this card, clean and simple. The card base is Very Vanilla Card Stock which I sponged with Concord Crush, Pear Pizzazz, and Blushing Bridge. Accented this card with Circle of Ice Rhinestone Brads - item #109111 (colors included: Lilac, Light Blue, Turquoise, and Green). More information on these punches is on my Saturday's blog post. Click HERE to see the latest My Digital Studio downloads. They were just released this morning. Amazing what you can do with a bit of layering and adding in a bow. This is the Pinking Hearts Border Punch, item #117649. The bow was an inspiration from Dawn Olchefske. It is called a faux bow as it is not really tied. It is a wrapped piece of ribbon that is pulled together in the center and tied off with a rhinestone brad. Love the effect. The ribbon is Stampin' Up! 's 1 1/4" Striped Grosgrain Ribbon - Basic Black, item #115615. I used the Circle Fire Rhinestones, item #109110 (colors are: Pink, Red, Pumpkin, Yellow). These punches were featured on my blog on Saturday. The first photo is of the card I made this weekend using the Eyelet Border Punch, item #119853. Isn't it amazing how easily it is to change the look just by adding some ribbon, background card stock, stamped image, and some bling (pearls). This card is for a friend's birthday, and will go into the mail today. I used So Saffron for the card base, Concord Crush for the accents and Classic Ink. Daffodil Yellow 1 1/4" Striped Grosgrain Ribbon - item #119770 was used as an accent as well as Jewels, Basic Pearls - item #119247. I'm going to take each design I showed on Saturday's Blog Post and create a card with it this week for you. As so many of you are aware, I work on my blog and on my Stampin' Up! business 7 days a week. I've decided that I'm going to take Sundays off from blog posting from now on. I know that you will understand, but I wanted to let you know so no one would be worried. I really appreciated each and everyone of my blog followers. You are all the BEST!!!! These are all 5 samples that I made today using the Stampin' Up! Border Punches. Each square is 3" x 3". Below I will show you close ups of the design. The black punches are the old design of punch, the gray are the new design of punch. Whether old or new, they are GREAT quality punches and will punch the same design. This is the Scallop Edge Border Punch, item #119882. This is the Eyelet Border Punch, item #119853. This is the Scallop Trim Border Punch, item #118402. I cut out 3" squares of card stock. Then placed the edge centered so that equal amounts of card stock were on each side of the punch lever area ... then punched. Repeated until all 4 sides were complete. Here's a sample using the 1 1/4" Striped Grosgrain Ribbon (see Pg 191 main catalog). You can also put another layer in the center of the 3" square. These are truly very versatile. Change the look too with buttons, brads, or other embellishments in the corners. With graduation just around the corner for many, I thought this was a great card for this occasion. It could also be used for Congratulations or Encouragement for someone to follow their dreams. This card was made for a dear friend who just happens to love flamingos. It was made entirely using My Digital Studio from Stampin' Up!, and then printed at our professional printers. I didn't have this stamp set which is now retired, but saw it offered as a digital download last week. Talk about perfect timing. When Stampin' Up! prints a card, they always include a plain envelope with the card so it is all set to mail when you receive it. Stampin' Up! really did a quick turn-around on getting this printed and sent to me via USPS (US Post Office). Our favorite vacation is one taken on a cruise. I thought this card was perfect for our cruise buddies as any cruise is "So Worth the Wait". I used card stock left over from Saturday's class and am very pleased with the results using Blushing Bride and Concord Crush. I used the ship log stamp and the anchor stamp from The Open Sea Stamp Set. I created the background paper using the ship log stamp. This is the very first time I have used the Beveled Window Panes that are on the carryover list. You can actually feed the ribbon thru the openings of the pane on each side (left/right). 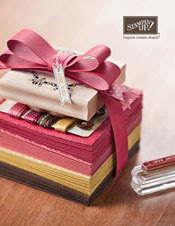 At the end of June we will be saying goodbye to our 2010/2011 Idea Book & Catalog and hello to the new 2011/2012 Idea Book & Catalog for Stampin' Up!. It is a time of sadness when some of our favorite products retire and a time of excitement knowing that new products are coming. Any of my customers who have placed at least one order using me as their demonstrator between July 1, 2010 and June 30, 2011 will automatically receive a new catalog from me at NO CHARGE. I will be ordering catalogs the beginning of June. Then once they are shipped to me, I will send them out priority mail to my customers who qualify for a NO CHARGE catalog. Any customer or potential customer who has not placed an order, can contact me about purchasing the new catalog. The cost will be $9 per catalog and the cost will include the priority mail shipping. I am only charging "my cost" for the catalog and shipping. Please contact me directly if you want to purchase a catalog from me. 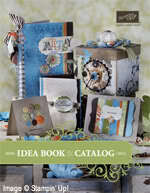 Want to be guaranteed of receiving the NEW 2011/2012 Idea Book & Catalog at NO CHARGE: Place an order thru my website before the end of June 2011, and I will ship you a catalog once the order is processed. Stampin' Up! will notify us of the "LAST CHANCE" products (items being retired and discontinued) on June 1st. Items will be sold on a first come, first serve basis with the exception of the rubber stamps. Rubber stamps that are retiring as of June 30th, will be available all month for order and shipment. Note: Because of the extra drying time needed, sponge the vellum first. Punch out the 5 large petals and the 4 small ones in the vellum card stock. Sponge Blushing Bride Classic Ink on the small ones. Punch out the body of the dress & the neckline using whisper white card stock & the round tab punch. Set aside these sponged items for about an hour. The ink does NOT dry quickly on vellum. Score the 5 1/2” x 8 ½” piece of Blushing Bride Card Stock at 4 ¼” and fold. Using sticky strip or SNAIL attach Concord Crush piece of card stock. Build the dress then attach with dimensionals to the top layer. Small petals are placed underneath the body. Then add the pearls. The very latest My Digital Studio (MDS) downloads can be found HERE. 3. The 4” x 8 ½” piece of Blushing Bride Card stock is the outer card. Using Sticky Strip attach the 5 ½” x 6” piece to the inside back of the outer card (center left to right). 4. Punch out the Word Window on Top Layer ONLY. Then line up with bottom layer and punch the bottom layer. 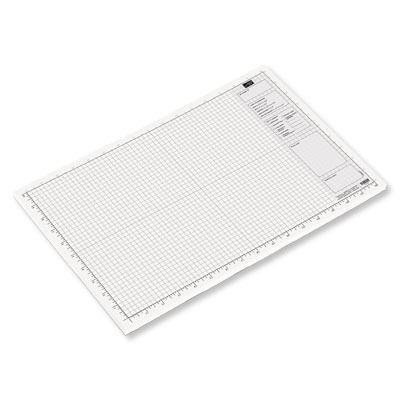 Punches should not be used on more than one layer of card stock. 5. Stamp the images on the card using the Concord Crush Classic Ink. Be sure to let it dry before going to the next layer. 6. Tie the ribbon in a simple knot. There have been problems with Blogger/Blogspot the last 2 days. I'm not convinced that the problems are resolved. I've lost a couple of posts that I had been working on, so have decided to hold off till Monday to add any additional posts to my blog. Hope you all have a wonderful weekend. I'm teaching classes today plus have a Stampin' Up! team meeting for my local team members. So it will be a fun, but busy weekend. Stampin' Up! 's Lovely Letters Alphabet Stamp Set is the perfect alphabet set for the gem magnets I made this week. There are more samples of magnets (with more details) on Tuesday's Blog Entry. I will be creating a video tutorial very soon and will post here also. I made these magnets for our friends' daughter who is 5. Thought it would be fun to spell out her name, and that the magnets would be perfect to hang her drawings and school papers on the refrigerator. To create these I used Stampin' Up! 's Lovely Letters stamp set and classic ink in 7 different colors. I punched them out with the 1 1/4" Circle Paper Punch and adhered the design to the gem with Crystal Effects. Also used Crystal Effects to adhere the magnet to the card stock. Image was stamped on Whisper White Card Stock. .... this stamp set is double mounted. If you are reading this blog post via e-mail you will need to come to my blog to view the video. The video today will demonstrate how to make the tea bag you see on the card above. This shows the 4 magnets I made (thank you Kimberly Kendle for the inspiration to try making my own). This is the backside of the magnets. These two were created with the Blossom Bouquet Triple Layer Punch. These were stamped with Pretty Postage Stamp Set and punched out with a 1" circle punch. What fun it was to make these magnets. They would make a great gift idea too for any age. Customize the design and colors for the recipient of this gift. I will do a tutorial on these this week and post it here on my blog. 3. Glue: It is extremely important to use a clear drying glue as the punched image or stamped image is glued directly to the gem. The perfect glue type solution is sold by Stampin' Up! and is called Crystal Effects. It comes in a 2 oz bottle and is acid free. It is item #101055 and is $6.25. I put a small amount on a piece of foil then brushed with a paint brush (small flat) onto my image then put the image on the flat/backside of the gem. Then washed the paint brush with soap & water to clean. Crystal effects dries quickly. The newest My Digital Studio downloads can be found in pdf format HERE. As you may have noticed, I absolutely LOVE the two new triple layer punches in the Stampin' Up! Summer Mini Catalog. Here's my latest creation using the 3rd layer only of the punch. I punched out 3 of the doily designs and then threaded them together using Stampin' Up! 1/4" Grosgrain Ribbon. Topped each one off with a Jewel - Basic Rhinestones. This is a quick and easy card to make. To create this card, you could combine any color card stock of your choice. I used Old Olive for the base, Whisper White sponged with Old Olive Classic Ink for the center piece, and Cherry Cobbler for the Doily design. Sample of the Doily layers. This is a photo taken in our car at 4:34 pm on Saturday. When we first got in, it said 114 degrees. Shows how hot the inside of a car/garage can really be. Thank goodness for A/C which allowed the temperature to drop quickly. The high was 100 degrees for us yesterday. No projects to post today, I'm taking a break and spending the day with my wonderful husband. But I wanted to take a moment to wish everyone a Happy Mother's Day. May it be a day filled with joy and wonderful memories. I'll be back on Monday with more new projects for you. I love this gate fold card which could be used for many occasions. Look closely at the flowers on this card -- they were made using the Doily Triple Layer Paper Punch - Layer 3. I wove ribbon thru some of the openings and love the affect it gives. Took about 8" of ribbon. Then I put a solid Old Olive Doily (layer 1) behind to accent the flowers.